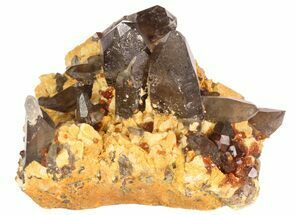 Here is a beautiful 5.3" spessartine garnet & quartz association on a matrix, collected from China. 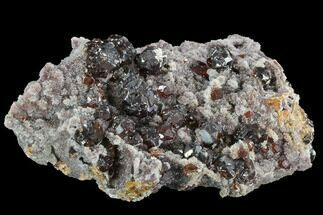 Although there are damages to the garnets, the specimen is in overall great shape and displays nicely on a flat surface. 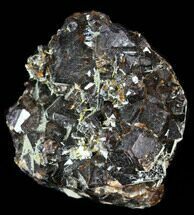 Also, small metallic octahedrals can be found protruding from between the quartz encrusted matrix. 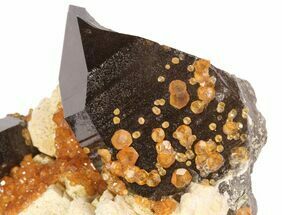 These octahedrals are likely galena. 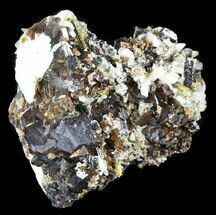 Garnets are nesosilicates having the general formula X3Y2(Si O4)3. 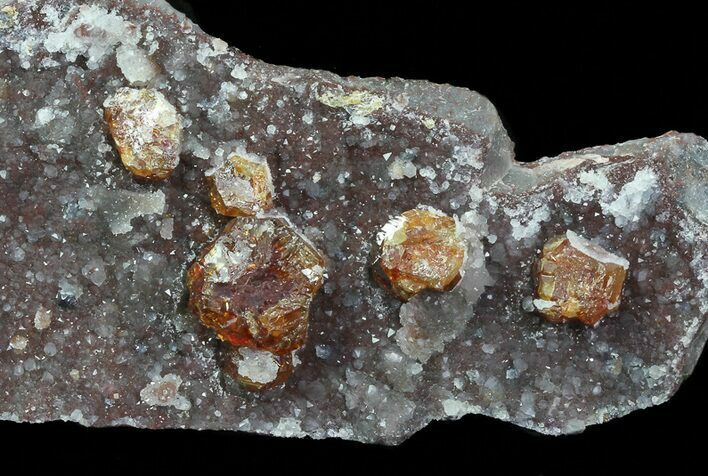 There are many species of garnet which are pyrope, almandine, spessartine, uvarovite, andradite and grossular (varieties of which are hessonite or cinnamon-stone and tsavorite). 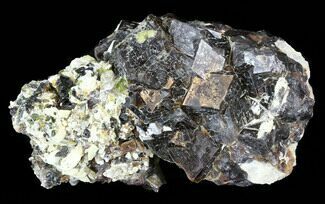 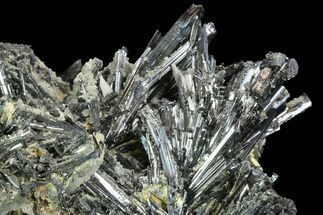 Spessartine, often mistakenly referred to as spessartite, is a nesosilicate, manganese aluminium garnet species, Mn2+3Al2(SiO4)3. 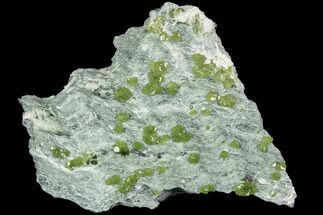 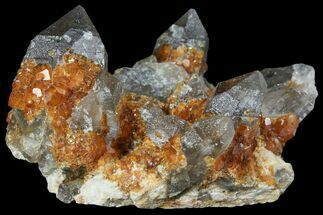 The name is a derivative of Spessart in Bavaria, Germany, the type locality of the mineral.